The San Francisco County Transportation Authority is considering charging $5 to $10 for a trip down Lombard Street following complaints from residents in the area. Jean Elle reports. 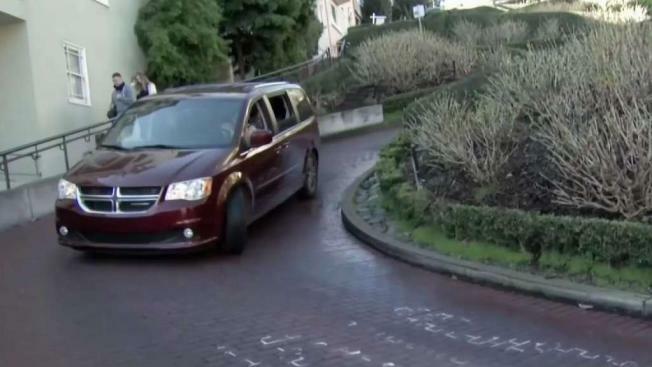 The San Francisco County Transportation Authority is considering charging $5 to $10 for a trip down Lombard Street following complaints from residents in the area. "You would try to get home on a Saturday take you 23 minutes to get to your street," said resident Greg Brundage. He’s lived on Lombard Street for 22 years and he said that in the last six, the number of visitors has exploded and so has their bad behavior. A staffer for NYC Mayor Bill De Blasio nearly caused a citywide uproar when he tweeted out that he preferred Chicago-style deep dish pizza over New York City's famous slice. And whether you prefer a cracker thin crust or a big foldable slice, a thick layer of cheese or a slice drowning in sauce, we can all agree that pizza is the best. Here are some popular styles of pizza. "I have a golf club I walk up and tell them to get out," Brundage said. On top of the toll fee visitors may have to pay, authorities want to implement a reservation system. "Reservation system will stop people from arriving randomly and have streets blocked all around us because people just arrive and want to go down," Brundage said. The money the city would make from those toll fees would go to maintaining the reservation system. Some visitors said the street is a tourist attraction and should stay as is, others wouldn’t mind paying $5.